Lady Blossom Jeanie Clarke live tonight! We will be joined by "Lady Blossom" Jeanie Clarke former WCCW and WCW valet of Steve Austin LIVE tonight @8:05PM EST !!! President Clinton returns while Jacks in Texas. Clinton and OIB talk about Extreme Rulez Special Show on WWE Network along with all the wrestling news and many great calls from the listeners! Jack and the OIB talking about the week in wrestling and the madness that is the IYH social media sites! Jack and Incher talking about the Wrasslin and counting the days til EXTREME RULES! Jack and the Inch-Daddy review that there wrasslin! Jack E. Jones review Wrestlemania and the RAW the next night! 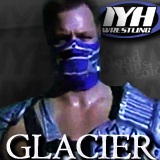 Then Glacier joined the program! Then Jack took your calls and went over the week in rasslin! As part of our Count Down to New England Fan Fest we will be joined by Glacier LIVE tonight @8:05PM EST !!! Inch-Daddy ran down Mania 2015! 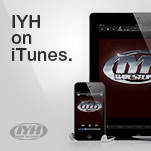 Listen to these classic IYH interviews with Kevin Nash, Shawn Michaels, Lanny Poffo, Larry Zbyszko, Bruno Sammartino and Bushwhacker Luke as a tribute to the 2015 Hall of Fame! Jack and the Incher were pumped to the gills for Wrasslemania weekend!!!!! HIBBITY HA! LIVE tonight @8:05PM EST !!! Wrestlemania Prediction Contest - Win Shawn Michaels' "Wrestling For My Life"! IYH Message Board exclusive! 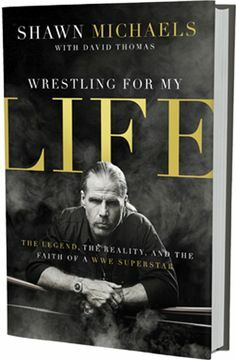 Join up or sign back in for a chance to win "Wrestling For My Life" by Shawn Michaels hardback book totally FREE thanks to HBK! Enter the Wrestlemania Prediction contest and be part of the IYH Message Board Renaissance of 2015! Jack and President Clinton talked the wrasslin and took tons of calls. Listen up! 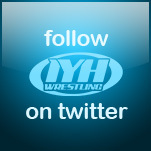 To celebrate the 10th anniversary of IYH and Wrestlemania season, (OK, it was just coincidence), here's an early version of the new website! Some things are unfinished, missing and/or broken for now as work continues. The other pages are still on the old design while the kinks are worked out. Jack and Incher started down the road to Wrestlemania! The Jack E. Jones shoot conducted by President Clinton! Jack E. Jones Shoot TONIGHT! LIVE tonight the Jack E. Jones shoot interview @8:05PM EST !!! We opened the show with a review of Fast Lane. Followed by the return of Mario Mancini! Then Jack and OIB took your calls and went over the week in rasslin! As part of our Count Down to New England Fan Fest we will be joined by Mario Mancini LIVE this Friday @8:05PM EST !!! We opened the show with Rusty Brooks!